A few weeks ago, some coworkers and I took a trip down to Santa Cruz. While there, we took a stroll along the Santa Cruz Beach Boardwalk, an amusement park founded in 1907. Even walking through, it was a completely unique experience, different than any other amusement park that I've been. One factor was the openness: instead of paying for entry, you purchase tokens and use them for individual rides. 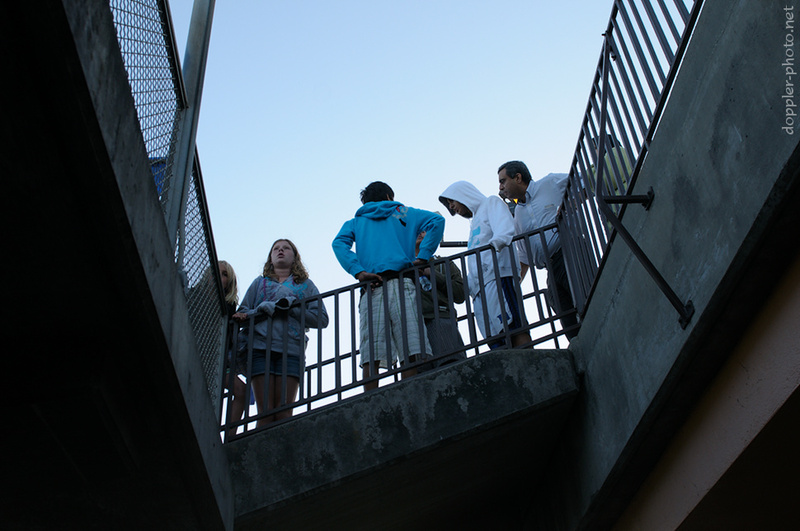 Another was the location: sandwiched right between a beach on the Pacific and the roadway. As we walked, I spotted things I had seen many times, as well as some which were new to me. The above is a merry-go-round with a twist. 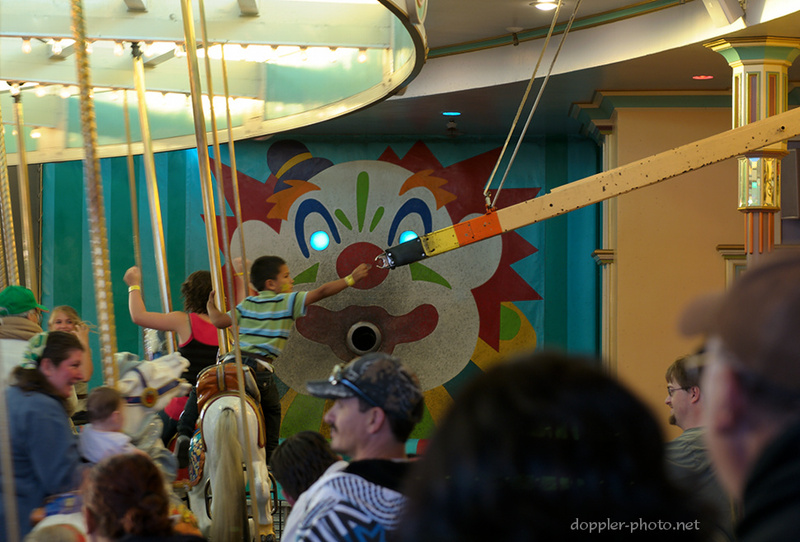 The long arm on the right dispenses rings, which the outside riders can try to grab and throw in the clown's mouth. It's an interesting way to perk up a ride that older riders might find boring otherwise. The section of the Boardwalk we visited had some of the feel of a traveling fair, although the overhead architecture (as seen in the photo) tempered that sentiment somewhat. Even so, a lot of the rides, stands, and random fixtures looked like they were designed to be mobile. For instance, the structures to manage lines for the rides were generally attached to their respective rides, rather than affixed to the ground. Most of the structures had wheels, in some cases obscured by a skirt. On the whole, it felt as if the whole enterprise (sans the roller-coasters) could pack up and leave at a moment's notice. But maybe that's just the reality of having a park right next to the ocean. Near one end of the Boardwalk is Marini's, a candy shop which specializes in salt water taffy. Given the volume of taffy they produced, most of their production workflow was mechanized. A pair of synchronized spinning arms pulled the taffy, and a different machine would take long strands of the final product (from the left, in the mirror), cut pieces to size, wrap the individual pieces in wax paper, and deposit the wrapped candies into a bin. It seemed that the machine was malfunctioning, because when we walked past, a couple Marini's employees were looking at the machine and tinkering with it. A few of my coworkers bought some candy, though, and by the time we left it was back in action, spitting out candies with what seemed like the speed and precision of a sewing machine. As the daylight continued to wane, we walked along the beach back to the main entrance. 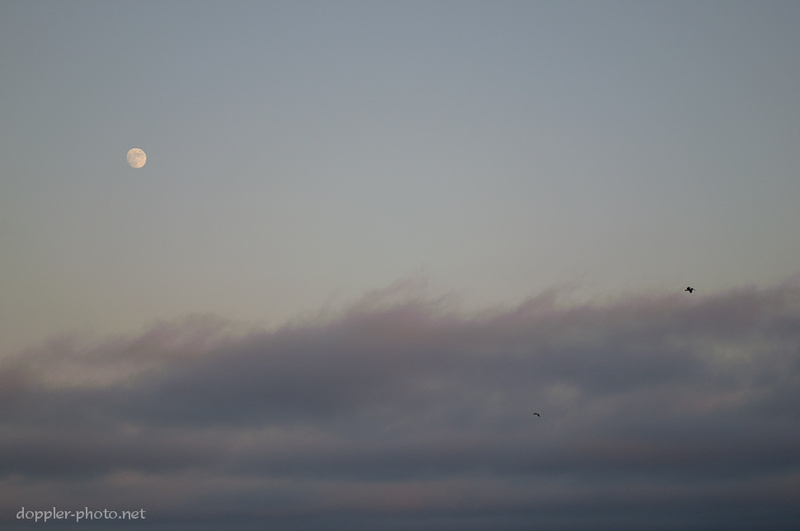 As we left the beach, I looked at the sky out over the ocean and the moon had risen above some whispy, barely-purply-red clouds. It struck me that this is what's so unique about the Santa Cruz Boardwalk. It's not the tallest, or boldest, or prettiest theme park, but the location is fantastic. You're in nature in a way that seems at first inconsistent with the whole concept of a theme park. Because it's open and close to home (for those in Santa Cruz), you feel like it could be a place you'd grow up with and get to know, more like an arcade or a library than a typical park. It feels like it's not the new and exciting, but the old and familiar that makes this place what it is. I like the picture with the keyboard, especially the little divets taken out of the board. There's a nice cluster of them over the center, over the more-used keys. Lots of people must've been playing hard to knick a piano like that!